New reports of police murdering Black people seem to occur daily. Three recent police killings that have sparked huge protests took place in Tulsa, Oklahoma; Charlotte, North Carolina; and El Cajon, California. The Charlotte murder and demonstrations have received the most coverage. Before he was shot dead on September 20, Keith Scott, a 43-year-old African American, was sitting in his car waiting for his child to come home from school. 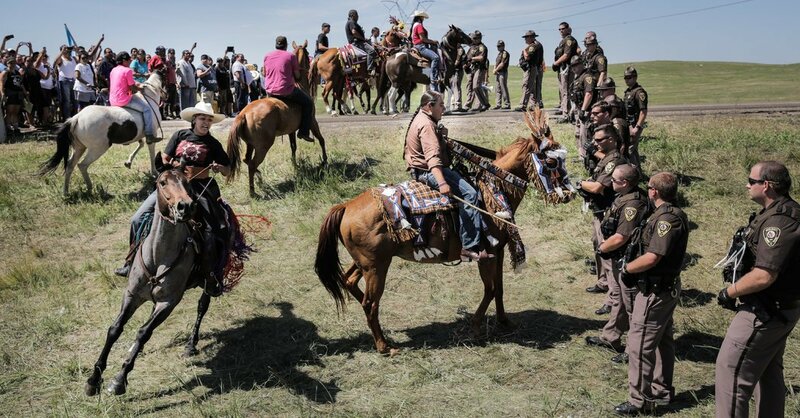 Intervention from the White House and a court order have temporarily halted construction of the Dakota Access crude oil pipeline 20 miles (32km) on either side of Oahe Lake, part of the Missouri River in North and South Dakota. The temporary restraining order halts construction along this 40-mile stretch. But pipeline construction continues apace elsewhere. Sylville Smith (left) and protests against his killing in Milwaukee. With the media awash 24/7 with the charges and counter-charges between the two candidates for president from the major capitalist parties, police murders of African Americans and protests against them continue apace — receiving only cursory media attention. Since the mid 1930s, self-styled progressives and many socialists have often justified supporting one of the United States' two major capitalist parties by claiming that it is the “lesser evil” compared to the other one. The “lesser evil” is frequently the Democratic Party. In this year's election, the “lesser evil” is the war hawk and neoliberal Hillary Clinton as opposed to right-wing populist Donald Trump. A Black Lives Matter protest in New York on July 9. Once again the deep racism and racial divide in the United States has burst upon the national scene, dominating newspapers, TV and social media. Since 2014, videos taken by witnesses of police murders of Black people spurred the rise of the Black Lives Matter movement. In spite of the overwhelming visual proof of the guilt of the police murderers, they have almost all gotten away with it. 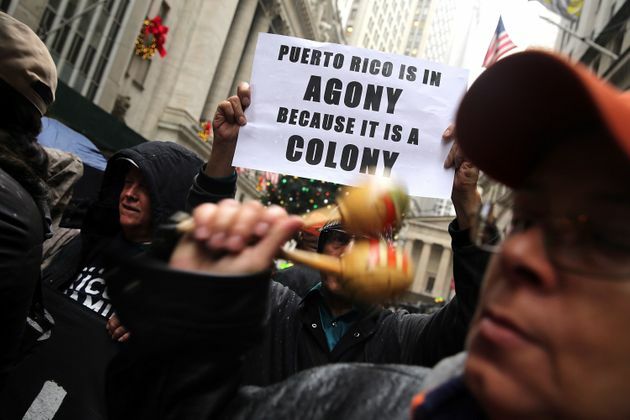 The Congressional, executive and judicial wings of the United State government recently clarified for all — despite Washington's claims to the contrary — that Puerto Rico is a US colony. A law known as PROMESA was passed by Congress with bipartisan support and signed by President Barack Obama on June 30. It creates an unelected seven-person control board that has sweeping powers to take over Puerto Rico's economy.